Last month I wrote the first in a series of blogs about why and how we need to bring more women onto the main stage at events. The response has been incredible, and I want to thank everyone who has shared the post, commented, sent me emails, texts and picked up the phone to talk about this. There’s certainly a fair amount of frustration in not seeing more women on stage, not only because people want to hear their perspective, but because but because men seem to be the go-to gender in this industry. But there’s a much louder voice that’s ready to share the name of fully competent and capable women, that’s frustrated with women’s responses. Event planners feel that they’re making the ask, but women are declining the offer. This seems like it would be an easy fix. Simply tell women they’re in demand, help connect them to even organizers and encourage them to make room on their calendars. But it’s not that simple. In a world filled with criticism of women who appear too bold and ambitious, raising a hand to step on stage is more complicated than it seems. On one hand, how can a female earn the wide-spread awareness and respect of men without speaking? But if she’s pushing hard to earn the same stature as her male counterpart, she opens herself up to a slew of criticism from both men and women. 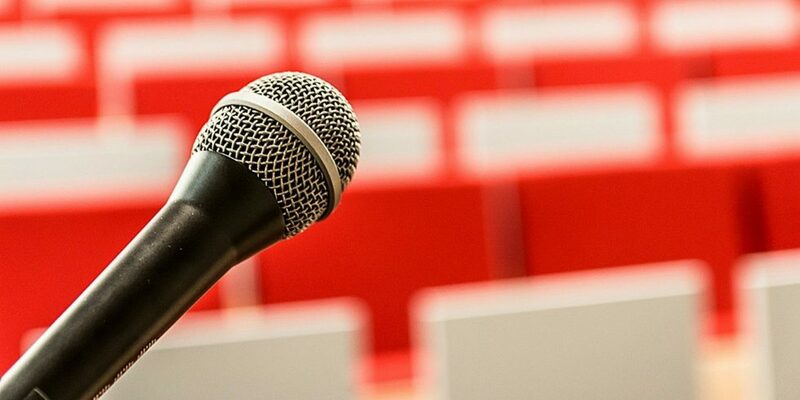 How did you get into speaking? I was doing research for graduate school and needed to enroll a lot of participants in a study to make it statistically significant. I got permission from the university to make the request to the largest undergraduate class on campus – Human Sexuality – which had 800 students. For my research, I got the highest enrollment into my study ever recorded in the history of the graduate program. As for speaking, even after 20 years as a professional speaker, nothing compares to this first experience. And even though I swore I’d never speak again, and, well, clearly, I have. What holds women back from moving into the spotlight as a keynote speaker at technology conferences? I believe there are three salient features contributing to the dearth of female keynote speakers at technology conferences. 1. Smaller pond to fish from. The pool of female keynote speakers in the technology sector is far smaller than the pool of men. 3. Unconscious Bias. Many men and women have an unconscious bias toward seeing men as “bigger names” than women. Conference planners want to draw the largest attendance and they look for speakers who they believe can do that. When you think of keynote speakers in the technology space, what names come to mind? My bet is, probably not a single female speaker. I don’t think conference planners intentionally keep women from the big stage. But if we judge women who promote themselves and reward men who do, it’s clear why female keynote speakers in technology don’t come to mind. What piece of advice do you offer both women and event planners to help swing the pendulum to a more balanced agenda? The first is women. No one is harder on a woman than another woman. Cultivate an active consciousness of how you may judge other women or hold them to a higher standard than men. Biologically, women have an unconscious sizing-up of their competition that’s triggered when another woman walks into a room. To transcend biology, we – both men and women – have to raise awareness of our own behavior of having different standards for how we view men and women. The second is event planners. Ask yourself, “Who’s not represented on-stage?” Then invest time to look for female speakers who are a good fit. There are enough great women keynote speakers in tech that there’s no need to make this a box-checking exercise. It’s important that we point out what’s not being done but also recognize the progress that we’re making and those who are stepping forward to help change the dynamics of women in technology. In this month’s post, I’ve culled the list of amazing women in the tech space. The interesting thing about tech is that it’s all about solving problems. There’s no better group of women to show how to do exactly that than these women. At the intersection of marketing and technology, Tamara is an internationally recognized expert on branding, influence & social business. The Founder and CEO of Thulium, she helps companies understand and develop their brand identity and story. By focusing on creating brand influence and by developing powerful customer relationships and brand stories for companies, Thulium shifts corporate and customer culture around extraordinary brands. Visit her LinkedIn profile or follow her on Twitter. As no. 5 on Forbes’ list of The World’s Top 10 Most Influential CMOs in 2017, Leslie not only heads marketing and communications for the social media company, but recently also took on human resources as well after the CHRO sat vacant for six months. She was a powerful voice in response to CES’s failure to include women on the main stage in January of this year. Leslie hosted the CES alternative event that included an all-women panel under the hashtag #HereWeAre. Visit her LinkedIn profile or follow her on Twitter. Amanda is on a 14-year journey scarred with many failures and successes dedicated to harnessing the power of big data, machine-learning and predictive intelligence for B2B marketing and sales. Her company, 6sense, is a B2B predictive intelligence engine for marketing and sales. Using its private data network of billions of time-sensitive intent interactions, 6sense scores existing prospect and uncovers net-new prospects in market to buy now. 6sense predicts what products prospects will buy, how much they will buy, and when. 6sense has uncovered hundreds of millions of net new business for its customers. Visit her LinkedIn profile or follow her on Twitter. Adelyn Zhou is a seasoned technology leader in the Artificial Intelligence and bots space. She has been recognized as one of the top 30 people to follow in AI, top 10 people in bots, and top 50 people in growth. She is a leader in the largest bot community of 24,000 members and organizer of the popular NY AI and Bot Meetup. She has been an invited speaker at conferences and institutions including SXSW, DLD, Launch Festival, Growth Marketing Conference, 500 Startups, Social Media Week, Harvard Business School, Columbia University, Cornell University, and more. She is a frequent contributor to VentureBeat, Forbes, Wired, Inc. and other publications. She is focused on connecting emerging technologies for business applications. Visit her LinkedIn profile or follow her on Twitter. Tarah is an information security researcher, author, entrepreneur, keynote speaker, nonprofit founder, scientist, and poker player. She’s a Cybersecurity Fellow at New America and Principal Security Advisor at Red Queen Technologies. She is the lead author of the best-selling Women In Tech: Take Your Career to The Next Level With Practical Advice And Inspiring Stories. Among the things Tarah considers her job is breaking into things, finding out what does and doesn’t work, working with the deep information security world that tends to abhor her employer and perhaps most of all, working with the public to try to translate a lot of text speak into something that is an understandable metaphor for human beings that have very different skill sets. Visit her LinkedIn profile or follow her on Twitter. As Global Head of Digital Marketing at KPMG, Nelly is responsible for leading the strategic development and implementation of digital marketing and communications capabilities for the $28B firm that operates in 155 countries. She drives the implementation of global digital strategies to develop expertise in digital marketing channels and technologies. An engineer by training, Nelly’s passionate about how technology fits into customer experience. Visit her LinkedIn profile. Robin Matlock joined VMware in July 2009 and serves as senior vice president and chief marketing officer. Bringing more than 25 years of marketing experience in the enterprise software and services sector, she’s playing a leadership role in positioning VMware as a market leader in Mobile Cloud. As CMO, Matlock is a key member of VMware’s Executive Leadership team responsible for leading all aspects of the Global Marketing organization, which includes Corporate Marketing, Partner, Segment and Field Marketing. Visit her LinkedIn profile or follow her on Twitter. 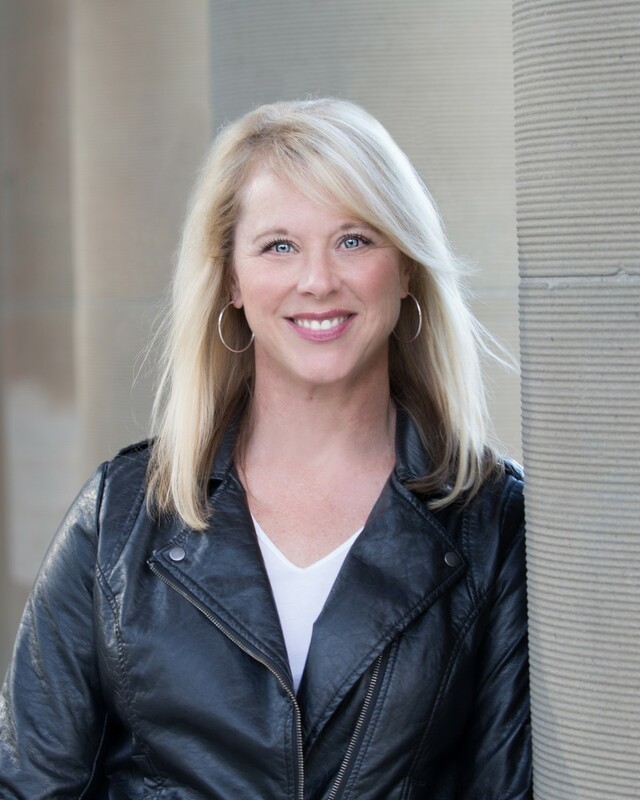 Holly has spent the last 25 years developing business and marketing strategies and leading integrated execution for enterprise technology brands. She’s superb at creating growth, transforming brands and scaling operations for enterprise technology companies. Some of Holly’s many specialties include cybersecurity, cyber defense, risk management and identity access management. Visit her LinkedIn profile or follow her on Twitter. Debbie is the founder and CEO of GoldieBlox, which creates toys and media to get little girls interested in engineering. She never knew what engineering was until her high school math teacher suggested she pursue it as a college major. Debbie couldn’t figure out why her math teacher thought she sould be a train conductor! Nevertheless, she gave engineering a try during her freshman year at Stanford. Four years later, she graduated with a degree in Mechanical Engineering/Product Design. Bothered by how few women there were in her program, Debbie became obsessed with the notion of “disrupting the pink aisle” with a toy that would introduce girls to the joy of engineering at a young age. Visit her LinkedIn profile or follow her on Twitter. 10. Sandy Carter, Vice President of Amazon Web Services. Consistently recognized as one of the most influential and powerful women in technology, and Forbes named her one of their 2016 Digital Influencers. She’s won a slew of other honors and awards that clearly show she’s a (technology) force to be reckoned with. Sandy’s an international speaker who has presented in more than 80 countries and author of 3 best-selling books, including “The New Language of Business,” “The New Language of Marketing” and “Get Bold” which was translated into 9 languages. Her latest eBook, “Geek Girls are Chic” was featured in USA Today. A trailblazer behind new business and technology market entry and a recognized business and marketing thought leader, Sandy has been quoted in The Wall Street Journal, London Economic Times, USA Today, Economic Times of India, Business Insider, Forbes, Venture Beat, Silicon Beat, Ad Age, Huffington Post and other numerous media outlets. Visit her LinkedIn profile or follow her on Twitter. Who would you to the list?